Personalized service: Every individual has a unique experience. By creating small special interest groups, each guest can choose the activity that best suits their own interests. Unrivalled experience: The One Ocean Expeditions team have many years of expedition cruising expertise coupled with specialty knowledge in their chosen field. Creative + innovative planning: Creative itineraries are built on years of experience exploring the remote corners of the regions in which One Ocean Expeditions operates. Exceptional value: Well-priced expeditions, exceptional cuisine, + the widest possible range of activities. Exclusive to passengers travelling on board RCGS Resolute, the new international flight route will result in a faster, easier and more efficient transfer to Antarctica than ever before, saving time, money and hassle for our clients. Trips will now include arrival and departure transfers on the ground in Stanley, ensuring a seamless experience allowing you to get to the start of their voyage much more quickly and efficiently. 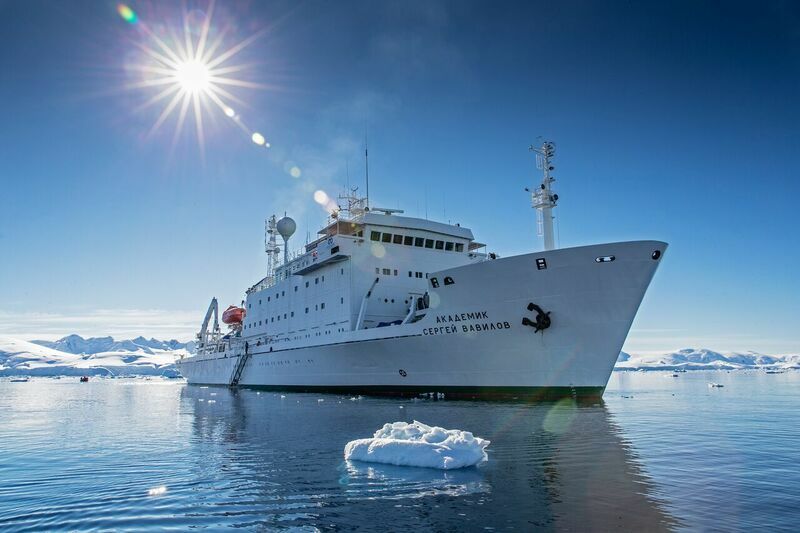 Christmas in Antarctica and the Weddell Sea - December 16-28, 2019: This new 12-night voyage has been on our drawing board for some time. After many years of careful planning we are excited to feature this unique trip for the very first time. It combines many of the classic locations along the western side of the Peninsula. Yet it also adds an authentic sense of the wild and unknown and of true exploration, as we enter the icy realms of the Weddell Sea. Akademik Ioffe will navigate its way through heavy sea ice, massive ice shelves and ice floes to allow passengers to experience this truly fascinating, extreme environment. It’s not a bad place to celebrate the ‘ultimate white Christmas’ either! 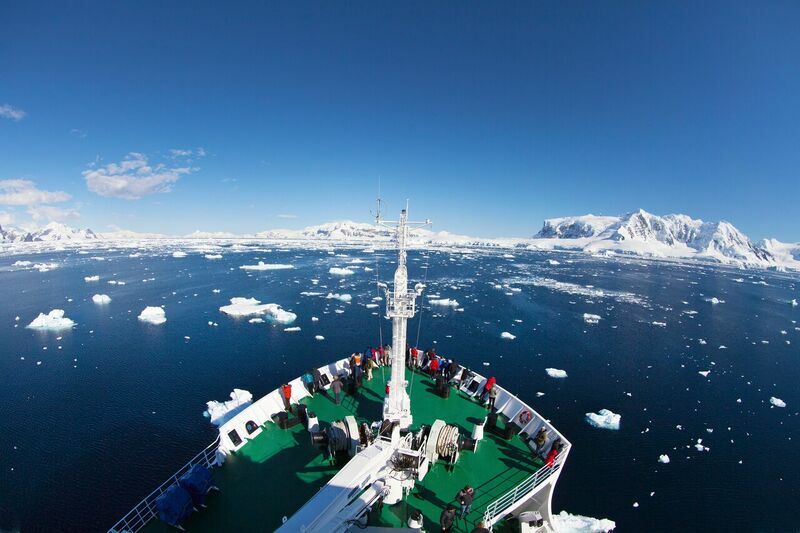 Antarctica in-Depth (Circle Crossing Voyage) - December 28, 2019 – January 7, 2020 (Ioffe) / 11 February 11 – 21, 2020 (Vavilov): A new 10-night Circle Crossing itinerary onboard Akademik Ioffe, embarking in Ushuaia and using the flight from King George Island to Punta Arenas on the return. This will give us 7-days of excursions including a crossing of the Circle (ice-permittiing). Using the experience of our Expedition Leader we plan to explore the area based on the seasonal conditions, giving ourselves even more flexibility with the itinerary than usual and offering the possibility to discover Crystal Sound, Penola Strait, Gerlache Strait and Antarctic Sound. Experience the same exciting new itinerary onboard Akademik Sergey Vavilov in February in the opposite direction; starting with a flight from Punta Areanas to King George Island and finishing in Ushuaia with the same great stops along the way. Falkland Islands, South Georgia & Antarctica – Mega Colonies - December 31, 2019 – January 17, 2020: RCGS Resolute will offer a new 17-night Mega Colonies’ cruise, taking advantage of the direct South American flight from Santiago to Mount Pleasant on the Falkland Islands. On this voyage we aim to prioritise the region’s largest penguin colonies including St Andrew’s Bay and Salisbury Plain on South Georgia; Paulet Island and Bailey Head, and also the Danger Islands to experience the newly discovered mega-colony of Adelie penguins. All great highlights for photography! On board penguin researchers will discuss marine conservation and protected areas and the impact on penguin population health, whilst our albatross experts will share their expertise on conservation and protection measures put in place to minimise seabird mortality; the lessons learnt here can be applied to other wildlife protection in the Antarctic. RCGS Resolute passengers will receive a $1,000USD pp Travel Credit (which gets taken directly off the berth rate) plus a complimentary Pre-night Hotel at the Arakur Ushuaia Resort and Spa plus a $50USDpp Spa/Dinner credit to use at the Arakur. This itinerary encompasses two additional days of exploration in Antarctica – without adding to the total length of the voyage. This equals more time on shore, more time in the zodiacs and more time spent in the company of expert guides for your ultimate wildlife tour. While travelling along the shorelines of Antarctica, you will visit many of the classic landing locations along the Antarctica Peninsula such as Paradise Harbour, Neko Harbour and the Errera Channel. In the company of expert guides, you will spend your days exploring in small groups, by zodiac boat and on shore, enjoying walks and hikes to scenic locations and visiting busy wildlife colonies. Sea kayaking and overnight camping are also popular activities on this itinerary. 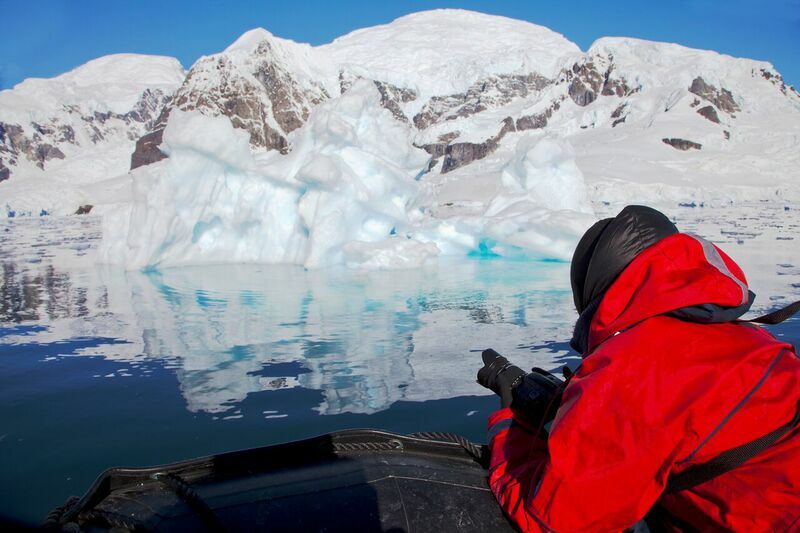 This adventure cruise sails along the hotspots of the Antarctic Peninsula. A new itinerary encompasses two additional days exploring the peninsula for whale watching, visiting penguin colonies and zodiac excursions in Antarctica. 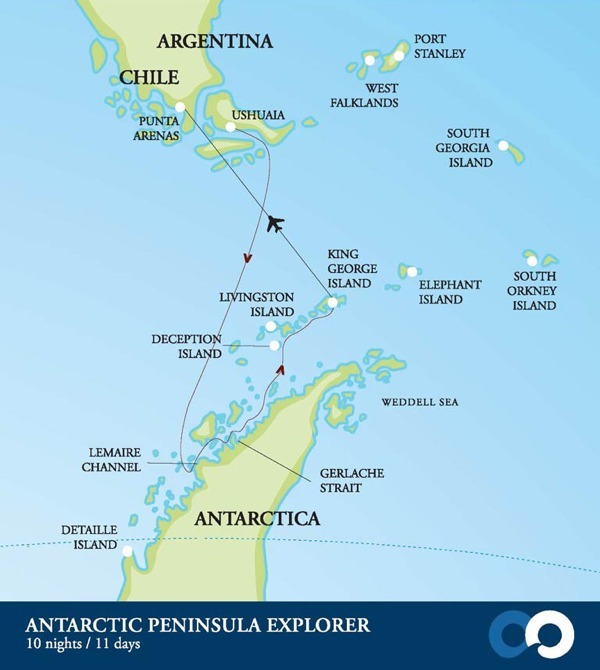 Over eleven days, you'll visit classic landing locations along the Antarctica Peninsula and Gerlache Strait coastline. You'll spend your days off the ship exploring by Zodiac boat and making shore landings in the company of your expert guides. 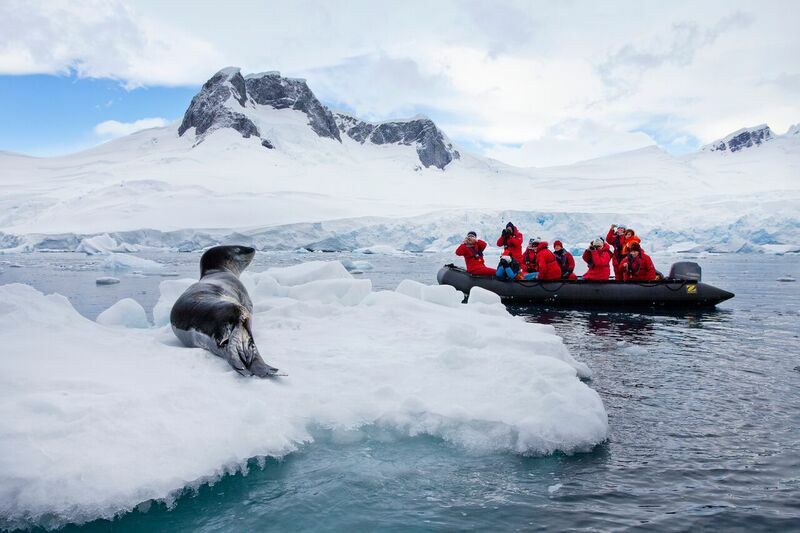 By breaking into small special interest groups you'll discover Antarctica and its remarkable landscapes, wildlife, and history through photography, zodiac excursions, hiking, and, for the more adventurous, camping and sea kayaking. Visits to historic huts and working research bases add another dimension to the voyage. To cap off this amazing trip, you'll spend a day in the South Shetland Islands. Returning to South America you'll have one final thrill - a rounding of the legendary maritime landmark of Cape Horn. Arrive in Ushuaia, Argentina, the world’s most southerly city, where you board your expedition ship. In the early evening you'll set sail along the Beagle Channel and push out into the Drake Passage, direction Antarctica. Giant petrels, albatross and smaller Cape petrels are your companions as you transit the Drake Passage. Join the ship’s Captain on the bridge and learn about the operations of the modern research vessel. Throughout the day your onboard experts educate you with a series of presentations about the environment, wildlife and history. The waterways of the Antarctic Peninsula are home to deep bays, pristine coves and inlets and numerous small islands. 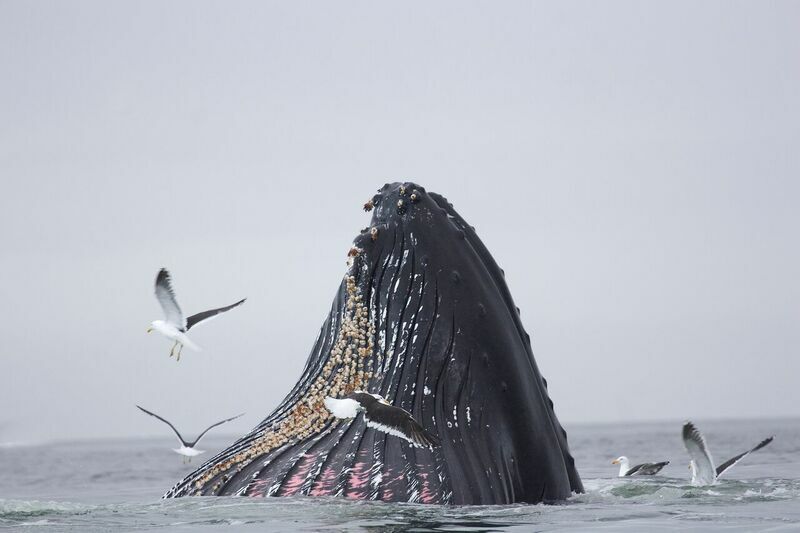 Every day there's an exciting range of activities, including guided hikes on shore (both short and long), visits to wildlife colonies with our expert naturalist guides, as well as Zodiac cruising. After several busy days of exploration along the Antarctic Peninsula, you'll head for the South Shetland Islands, if the weather conditions allow, we sail the ship into the flooded volcanic caldera at Deception Island. This evening you'll enjoy a special dinner attended by the ship’s Captain, and you'll spend your final hours cruising towards King George Island. Upon arrival at King George Island, you'll drop anchor and will be in position for disembarkation in the morning. This morning you'll say goodbye to your expedition team and transfer ashore by Zodiac. You'll walk from the landing site up towards the airstrip preparing to board your flight. The two-hour journey from King George Island to Punta Arenas, Chile is included in the price of your voyage. Upon arrival into Punta Arenas a transfer from the airport into town is provided. New for 2017/18: A complimentary hotel night in Punta Arenas at the end of the voyage for all guests returning from King George Island (starting in October 2017). This evening is at your leisure. Designed for polar research, the One Ocean Voyager is a modern, comfortable, safe and ice-strengthened. From small group sessions to briefings for all passengers, it has public spaces onboard the ship ideally suited for each and every need. A separate lounge and bar with panoramic views, as well as a library, provide ideal places to sit and relax or catch up on some reading. A selection of movies and documentaries can also be watched in the lounge. The sumptuous meals prepared for you by their culinary team are enjoyed in our dining room, which can host all passengers in a single seating and will keep you feeling healthy and strong for the myriad of activities offered throughout the voyage. Other facilities include the theatre style presentation room, gift-shop, fitness room, massage room, hot water spa, sauna and plunge pool. There’s also a dedicated expedition ‘mud-room’ where you prepare for your off-ship excursions. Contact one of our Cruise Specialists for more information or to discuss booking your next Antarctic expedition with One Ocean Expeditions! Get in touch with us via our website 'contact us' button or via phone call at 604-736-7447. For more information and to speak with one of our Polar Specialists please "contact us" on the website o call 604-736-7447 and mention this article.